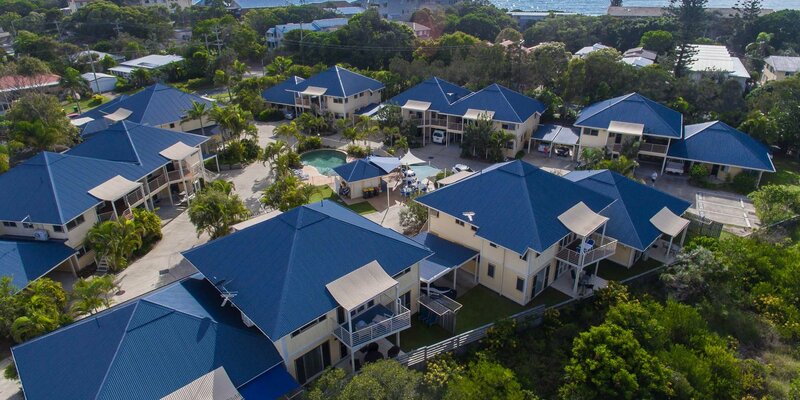 "Where the Estuary Meets the Sea"
Great for couples and families, Hastings Cove Waterfront Holiday Apartments are the quiet family getaway on the Tweed Coast, with fully furnished 2 bedroom self catering holiday units in landscaped grounds. A short 150 metres stroll to the beach, with direct access to a sheltered estuary, you and the family can enjoy great fishing, and activities like swimming, snorkeling, sand castles, kayaking and surfing. 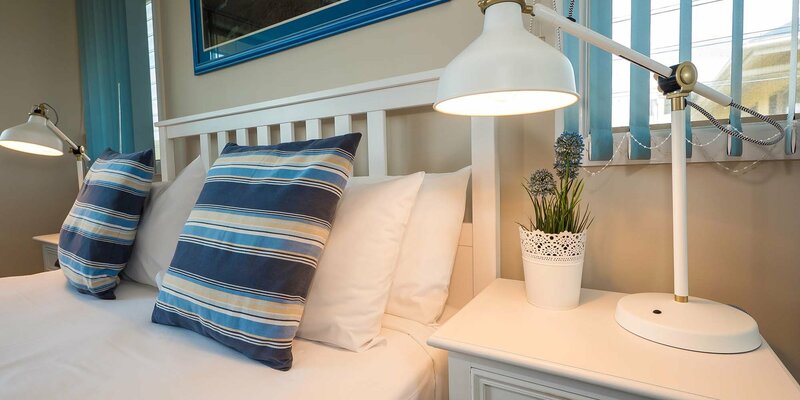 Stay for 2 nights or longer, with affordable 2 night to 7 night deals from $105 per night. Longer stay packages of 2 weeks or more are also available, just ask. We have four apartment options to choose from. Our ground floor and upstairs garden view apartments overlook our landscaped gardens and swimming pool, upstairs estuary view units, have water views overlooking the estuary from the balcony, and our stand alone apartments have no units above them. Just 25 minutes drive to the Gold Coast and Byron Bay, you can relax and enjoy uncrowded beaches, explore national parks, visit neighbouring coastal villages and local markets, or go bush walking, cycling, fishing or surfing. How about celebrating your anniversary at Hastings Cove? Our anniversary present to you is a free continental breakfast in your apartment. Valid only for stays in off-peak period from May - August 2018, excluding long weekends, school and public holidays. "Size of the apartment was a big surprise and the closeness to everything including the beach was a big plus."